Liton Arefin is the founder and CEO of Jewel Theme, a WordPress theme and plugin development company. He started his journey with WordPress in 2008 and has been not only a WordPress evangelist but also an active community member authoring themes, plugins, and books. He has currently 17 active plugins and 9 themes in the WordPress repo with dozens of themes and plugins in Themeforest. 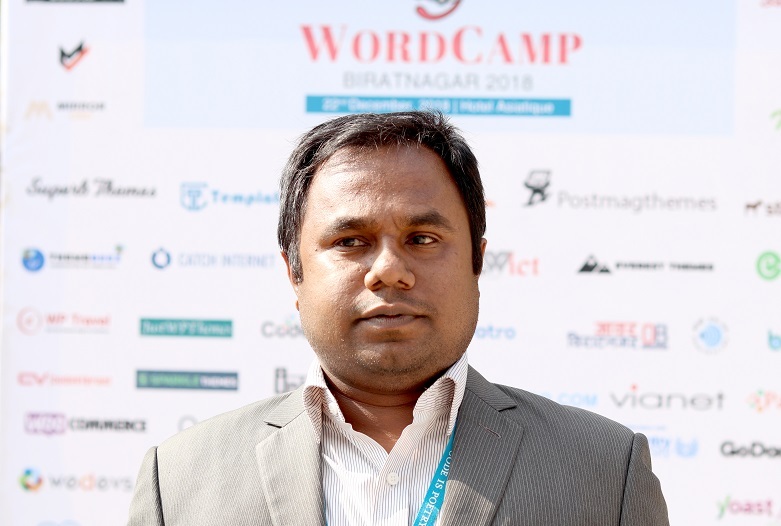 Liton Arefin at WordCamp Biratnagar 2018. At WordCamp Biratnagar 2018, he talked on the topic “New Era of Plugin Development in WordPress”. We also interviewed him in order to learn more about him. Here’s the full interview with Liton Arefin. I’m a Father and a WordPress Developer. I’m running a WordPress Theme and Plugin Development Company named Jewel Theme based on Dhaka, Bangladesh. I’ve done Information and Communication Engineering graduate from Rajshahi University, Bangladesh. Besides my work, I’m trying to contribute to the Community. I’ve 9 WordPress Themes and 17 WordPress Plugins on WordPress.org repository. Tell us about your city and WordPress Community over there. My hometown is actually Dinajpur located at Rangpur Division. Currently, I’m living in Dhaka. WordPress is very popular in Bangladesh. I really believe Bangladesh has a good number of WordPressers. Drastic changes were introduced after 2012 since a few of our legends like Hasin Hayder came forward to inspire people. It was a really great, golden time for our local community. Since then, every seminar and conference has been overcrowded. 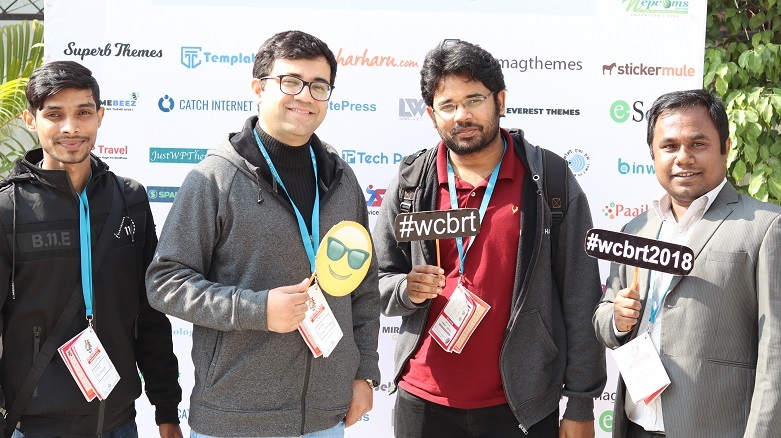 Our seniors have been trying to organize WordCamp Dhaka, however, very sadly, it hasn’t happened yet. I hope and believe it will take place soon in future and if it does, I think it should be organized in an open ground or a stadium. I started my career with WordPress in 2008. My journey began when I was 1st-year Student of Information and Communication Engineering, Rajshahi University in 2007. I was trying to do something because my friends were giving tuitions and were involved in other part-time jobs, which I was not able to do. It was due to lack of money and the effort required, but most importantly, I’m not really good at teaching. I used to explore the web world and read as many articles as possible on making money from home. I initiated with blogging. The main goal was generating revenue from Google AdSense. After a year, I earned nothing and I decided to fully stop it. In the meantime, I learned some basic stuff related to websites. At that time, Joomla was very much popular. I tried to learn more about it but everything went over my head! Then I jumped to WordPress. I instantly fell in love with this wonderful platform. And today, after 10 years my love is still the same as on the first day. I have worked for a few well-known companies in the world. When I thought I was ready for entrepreneurship, I decided to start my own. My company, Jewel Theme was established on 16th December 2014. In 2012, I wrote a book “WordPress Plugin Development Beginners to Advance” for my Local Community in the Bengali language. It witnessed a number of downloads—1.5M in 10 days! I was very much glad I could put out something that big. I’ve faced a lot of problems during my initial phase. As an IT student, I wanted to learn practical life working experience, which we all have to face after our graduation. However, my seniors weren’t aware of this and were just killing times. This was very saddening to see. Most of them were result-oriented and were not really concerned about their future. I do realize that results are important but skills are the real missiles when it comes to real-life jobs. During my first year, I used to work with Mobile Internet (USB Tethering to PC) and the internet speed was 16 KB/s. It was a nightmare for me. My father used to send me 2500 BDT per month, out of which 1000 BDT was for my internet bills. I still don’t know how I managed it at that time. Another problem for me was lack of resources. I didn’t know where I would get resources for my studies. One of my teachers (Mahbub Shohag) noticed my interest in the web development field. He gave me a few paid E-Books to read. Those E-Books were quite fancy stone for me at that very moment. We had a group of 3 members and we used to do a few local and freelancing jobs. During our work period, we learned a lot of things including the importance of teamwork to make something good. WordCamp has never happened in Bangladesh. Therefore, attending a WordCamp for the very first time and that too as a speaker got me so much excited to attend WordCamp Biratnagar 2018. As a WordPress developer, my comfort zone is WordPress Plugin Development. I was quite interested to give my speech about Plugin Development Techniques. My talk was on New Era of WordPress Plugin Development. I discussed new techniques on developing WordPress plugins based on Gutenberg blocks. Benefits of WordPress plugin development. Who can develop Gutenberg plugins? Do I need to learn all of them? Now, WordPress needs to move on for future, adopting new technologies. And I believe that’s why the team has introduced Gutenberg. Gutenberg is easy to use and develop blocks effortlessly. REST API was another revolutionary change in WordPress. It has a great ecosystem, both UX and Development. As a Speaker of International Conference, I was nervous too. I tried to deliver my level-best at WordCamp Biratnagar 2018. Yes, it’s my first visit to Nepal. After WordCamp Biratnagar 2018, my friend, Prakash Upreti convinced me to stay at Biratnagar for a few more days. He wanted me to show a few places around Biratnagar. But it wasn’t possible for me to stay as unrest of our Govt. The election was to be held on 30th December 2018. I didn’t want to miss the opportunity to visit Pokhara. I’ve stayed 3 days at Pokhara. I just love the place, it is really beautiful. I can’t express how I felt seeing the WordPress community in Nepal. Everything was just beyond my expectations. I also met the star of WordPress Biratnagar community, Sandilya Kafle. It was a very pleasant experience, meeting excellent people like Fahad Murtaza, Sandilya Kafle, Abul Khayer, AB Rana, Sagar Tamang, and especially, Prakash Upreti and Kamal Prasad Shah. I’m also very grateful for Kamal Prasad Shah. He helped me a lot in various ways possible. Over 400+ audience was the proof of a successful event. Another interesting thing is that no one left until the dinner party was finished. I’ve enjoyed every moment in Nepal. It was my first WordCamp. I don’t know much about others, though I follow many speaker sessions on WordPress.tv. Meeting new people is obviously one of the fascinating facts about WordCamps. New opportunities can be found on various platforms and who knows, big companies might be created through WordCamps. Big companies always try to hire people from these kinds of events. Knowledge sharing, networking, and learning new things are the main focus of these kinds of events. I can’t differentiate right now since it was my first WordCamp. But WordCamp Biratnagar will definitely remain on my top of the list for a long time. I can tell you about other WordCamps when I will come to Nepal again. We’re a very small team on Jewel Theme with only 6 members. I always try to contribute to the WordPress community via various ways like releasing free WordPress themes and plugins from our website. I’ve decided during the beginning of 2018 that I will contribute regularly on WordPress.org Theme and Plugin Repository. There were 5 themes approved in 2018 and we released 4 plugins. I’ve invested 3 months to build Easy Blocks – Gutenberg Blocks Collection plugin. I’m not in a position to give any advice, however, I can request something to new users. Kindly, try to contribute whatever new things you learn and please share it. Only sharing can enrich our knowledge. We all can learn from one another. Please try to get involved with WordPress in any way possible. WordPress is completely open and you’re more than welcome. Please don’t hesitate. I’ve never seen any conference with the number of female participants that I saw in WordCamp Biratnagar. It’s really appreciative. WordPress ecosystem is not only for male, but females are more than invited. I saw female participants as Speakers, Volunteers, and Presenters which is a very good sign for everyone. Females like “Manju Dahal” are participating in other programs as well; it is very inspiring. If more female participants move forward, the growth of community will increase a lot encouraging people. Developer WordPress, Codex, Handbook, Support Forums, etc. are my main go-to sources. If I face certain problems, I follow Stackoverflow, Github, etc. I was a cricketer and have played from the University Department team (lots of memories there). I love cricket and I try to watch my favorite games. Also, I love watching movies and listening to my favorite music while I work on my desk. I’ve discussed above the big movements after WordPress version 3.0. Likewise, Gutenberg is also a revolutionary movement. Though right now, many users aren’t understanding the benefits of this new editor, it will definitely be a game changer very soon. Gutenberg is on very early stage right now and the development is still going on. A ton of things are yet to be discovered and it’s high time to be a core contributor. WordPress is not only a blogging CMS. You can create custom CMS using REST API, behind the scene everything will process WordPress. Mobile App Development is also a big advantage and Gutenberg comes along with those advantages. I believe people will realize that very soon. We got to learn a lot of new things from Mr. Liton Arefin and we want to thank him for taking out time for this interview. Do you want to know more about this influential personality? Find Liton Arefin on Facebook or Twitter.